Virtualization offers hardware independence-a huge time saver in recovering from a disaster. In addition, virtualization provides several other ways to protect your business from server downtime. 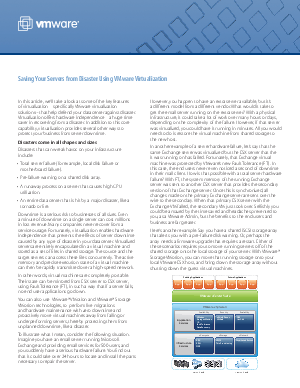 This white paper takes a look at some of the key features of virtualization that help defend your IT environment against disaster.